what sets us apart as the #1 choice for doula services in Wichita. 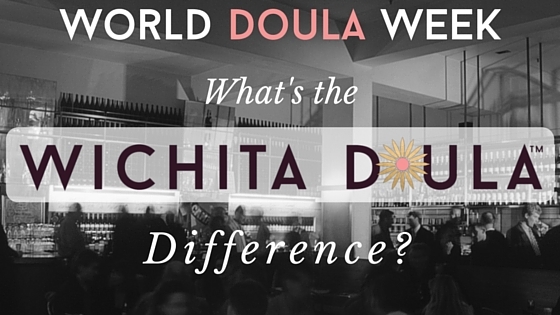 At Wichita Doula, we focus 100% on providing the professional, excellent support that our clients desire. You never have to worry that we'll miss your birth because we're at our other part-time job, or that you'll be unable to reach us because we forgot to get a babysitter. The moment you sign the contract, we are committed to giving you our all as your professional doulas. Your baby's birthday is one of the biggest days of your life and we take it seriously! The last thing you would ever want in your delivery room is a tense, negative atmosphere. We consider ourselves to be team players in collaboration with your husband or partner, your doctor or midwife, and your nurses. Our respectful conduct and adherence to the doula scope of practice means that your care providers are not just tolerant of our presence, but thrilled to see us arrive! At Wichita Doula, we provide true non-judgmental support for all families. We don't believe that any particular method or style of birthing and parenting is “the right way” for every parent. We know that parents thrive in confidence when their desires are supported – that's why your goals for your birth become our goals! Home, hospital, unmedicated, epidural, induction, Caesarean – we doula that. We know you will love having a professional and caring doula from Wichita Doula on your birth team – from bump to baby.